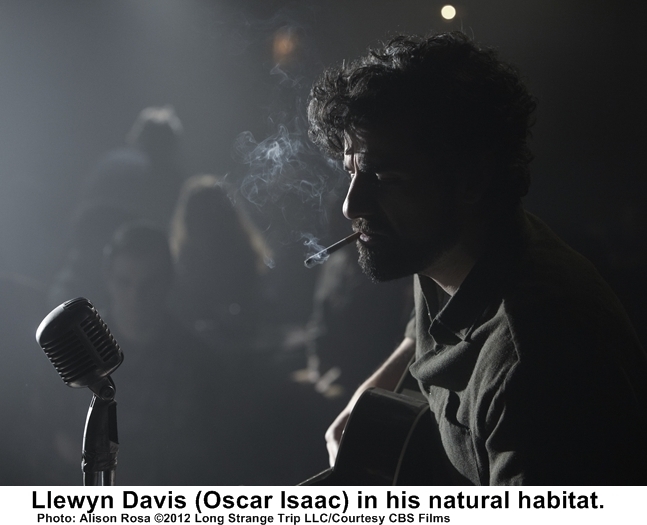 Inside Llewyn Davis, Joel and Ethan Coen’s latest, captures a moment in New York when a folk music revival was going strong inside smoky Greenwich Village clubs and on weekend afternoons in Washington Square Park. 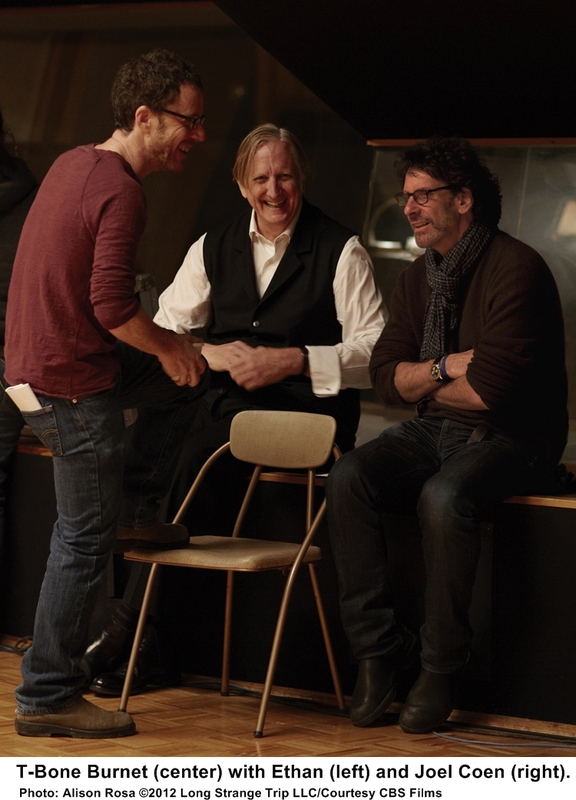 T-Bone Burnett, the lanky Texan who first worked with the Coens as their musical archivist on The Big Lebowski, won two Grammys as the music producer on O Brother, Where Art Thou?, and serves as executive music producer on the new film, was just a kid in Fort Worth when all of that was going on. In 1975, though, he joined Bob Dylan’s Rolling Thunder Revue and got to know several of those musicians from those days. While the Coens have said they were particularly inspired by the life and career of Dave Van Ronk, Llewyn could as easily have been conjured from a Ramblin’ Jack Elliott or a David Blue. Certainly, if Llewyn Davis has any thoughts of success on even a modest level, he is also the one person who can ensure that that will never happen. Part of Burnett’s job in choosing the music was choosing which songs Llewyn would include in his repertoire for any given occasion, thus Child ballad #170 a/k/a “The Death of Queen Jane” becomes a key song in Llewyn’s universe. “He goes for his big audition in Chicago and he has a chance at the big time, and the song he chooses to play is a song about a Caesarean section, so he’s not a guy who’s going out of his way to try to alter show biz,” says Burnett. Burnett thinks that every musician, even the most successful, will find something to identify with in Llewyn Davis. Everyone, he points out, goes through periods of boom and bust. Someone who’s the most happening thing out there today is nobody again tomorrow only to rise up once more out of the ashes. What is different for Llewyn and those folk musicians back in the day is a matter of scale. Until Bob Dylan came along, the New York contingent defined success by a different measure. “Specific to that time, I would say that one of the interesting things about it is is that was a time where there was a park, Washington Square Park, and there were all these different camps that played in the park and there was never any – all the competition was within the park,” says Burnett. “It was all for space in the park, it wasn’t for trends on Twitter or something, right? It was for square feet in a little grassy area downtown – in the country of New York, because back then the Village was the country. Nobody was thinking about being famous. They were thinking about what was good and what was authentic and they were thinking about all these kinds of questions.